The results are in from the 10th Public Policy Institute of California (PPIC) poll on Californians and the Environment. Despite economic conditions, Golden State residents overwhelmingly support the state’s clean energy and clean air measure. What’s more, they strongly believe that aggressively pursuing cleaner energy and environmental protection is a ‘win-win’ proposition that will create jobs. Twice as many respondents predict that AB 32, California’s landmark Global Warming Solutions Act, will create rather than cost jobs. Two thirds support AB 32, which is no surprise given Californians’ deeply held environmental values coupled with the job growth and investments flowing into start-up companies across the state. Support for AB 32 has held steady over the last two years. This is good news for those who support it and bad news for the Texas oil companies bankrolling Proposition 23. Considered by many to be the battle royal among November’s initiatives, this cynical effort to kill our clean energy and air quality programs appears headed for defeat, if these numbers are any indication. The message is clear—we don’t want out-of-state polluters to slow our booming green economy and keep us addicted to their dirty, polluting products. Californians do want AB 32, believing it is key to getting people working on energy solutions to increase our independence, help us compete in a trillion dollar global market and protect public health and our way of life. See you at the polls in November. Up for a Vote: California Public Interest or Special Interests? 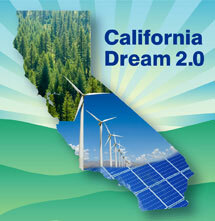 This entry was posted in Clean Energy, Climate, Global Warming Solutions Act: AB 32, Politics. Bookmark the permalink. Both comments and trackbacks are currently closed. Yeah, we are also for clean energy. Who isn’t? Its our responsibility to make this world right and livable for future generation.